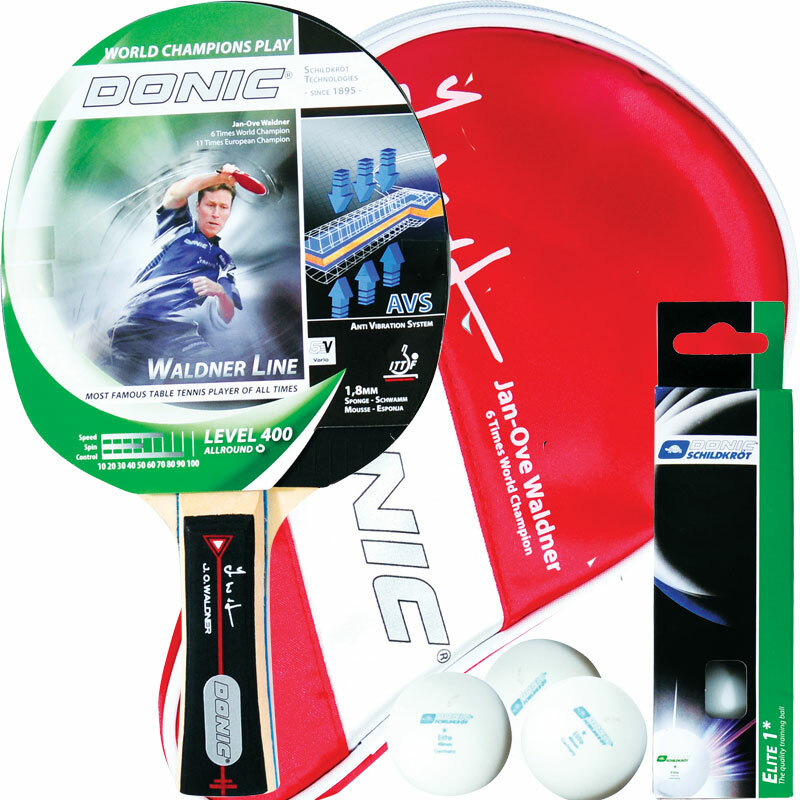 Apart from the table you'll have all you need with the Schildkrot ® Waldner 1 Player Table Tennis Set. A perfect gift or starter set. 1 Waldner 400 table tennis bat. 5 ply blade with attractive flared handle. Red and black Elite 1 star ITTF approved reversed rubber. AVS system giving improved ball control. 3 x Elite 1 star white table tennis balls. 1 x Waldner red bat case with ball pocket for three balls. Speed 70. Spin 50. Control 90.